In Collin v. CalPortland Company, a case from the California Court of Appeals, the plaintiff was a construction worker from 1955 through 1995. He was diagnosed with peritoneal mesothelioma and alleges that his cancer was caused by exposure to asbestos-containing plastic cement and a joint compound that he came into contact with on many job sites. As our Boston mesothelioma lawyers understand, this case highlights the importance of having a witness who can prove a plaintiff’s exposure to asbestos. While there were 22 named defendants, the manufacturer of the plastic cement and the predecessor of the manufacturer of the joint compound separately moved for summary judgment to dismiss the plaintiff’s claims against them. The plastic cement maker argued they made two similar products. One product was called Colton Gun Plastic Cement and the other was Called Colton Plastic Cement. The “Gun” product contained asbestos. In depositions, interrogatories, and other discovery materials, plaintiff admitted that he never saw the word “Gun” on any of the bags he used. Both products came in brown bags, had to be mixed with water and sand, and could be applied with a gun. Since the plaintiff could not prove he ever used the asbestos-containing product, there was no basis for liability, and the jury would only be guessing instead of making a reasonable inference. Plaintiff replied by stating that, based upon similarities between the plastic cement described by him and the defendant’s product, a reasonable finder of fact could conclude that it was the defendant’s product he encountered on the job site. The defendant associated with the joint compound argued that they were not liable, because they did not own the joint compound manufacturer at the time the product was sold, and they did not inherit any liability from that company. They also argued that they were under no duty to warn the plaintiff, who was a sophisticated user who should have been aware of the presence of asbestos and its dangers. The trial judge granted both motions for summary judgment, stating defendants had met their respective burdens. The court of appeals agreed with the trial court with respect to the plastic cement manufacture’s motion for summary judgment. With respect to the joint compound manufacture’s motion, the court of appeals reversed the trial court’s dismissal and remanded the case for further proceedings. The appellate court reasoned that, based upon the years of manufacture, a reasonable finder of fact could find that the defendant manufactured the asbestos-containing joint compound. The more interesting finding by the court was that the defendant’s sophisticated user defense was not applicable to the plaintiff. 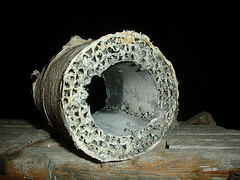 While he was a licensed contractor with training and knew that asbestos could be hazardous, he did not have any specific training with respect to the defendant’s joint compound, and there was no evidence that he knew this specific product even contained asbestos prior to his diagnosis with mesothelioma.